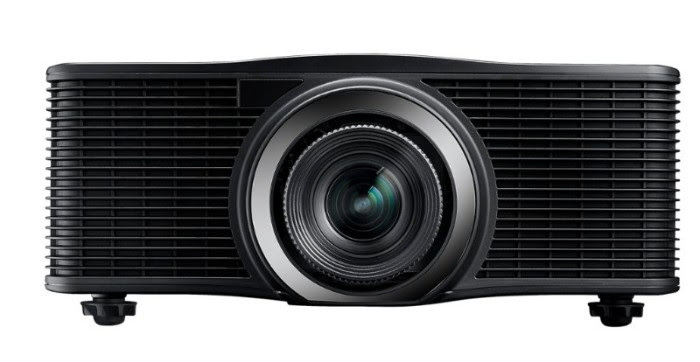 Optoma, a professional AV solution has showcased their 4K, ultra-short throw, and laser technology projectors in InfoComm 2018; booth #D35 during September 18th – 20th in the Bombay Exhibition Centre of Mumbai. 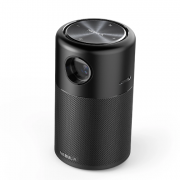 Optoma ZU1050 is an ultra-bright 10,000 ANSI lumen, WUXGA projector. It combines longer-lifetime light source and an independent IP rated dust certification to ensure reliability and minimal maintenance during its lifetime. Designed for even the most complex professional installations, the ZU1050 features built-in edge-blending and warping for large-scale projection or stacking. It offers multiple optional lenses ranging from TR0.36~5.5 for ultimate flexibility. In addition, the ZU1050 achieves superior color rendition through MCL (MultiColor Laser) technology, which combines red and blue laser diodes to enhance color performance. Optoma ZH420UST, the high brightness laser ultra short throw projector, is powered by DuraCore laser light source, delivering consistent, high brightness of up to 20,000 hours with 24/7 operation. Covering 114% Rec709 colour gamut, the ZH420UST offers superior colour reproduction with vivid, lifelike images. In addition, Optoma ZH420UST comes with the added benefit of four-corner geometric adjustment and versatile orientation, including portrait mode and downward projection. 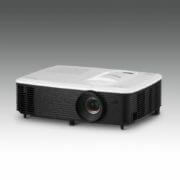 It allows quick and accurate installation with a flexible, powerful, and bright UST projector range. For large-scale projection, Optoma ZH420UST features built-in edge-blending and warping. With an HDBaseT input included, it simplifies cabling requirements and reduces installation complexity, saving both time and costs. 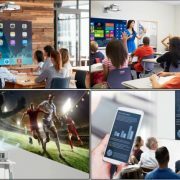 It is perfectly designed for education, corporate, and professional installations where UST projection is desired for the unique environmental requirement. Incorporating ZX500TST with Capture Board, Optoma provides a collaboration solution for intuitive writing, capturing and saving. It can easily connect to any size of display and share the content with any devices through cloud. 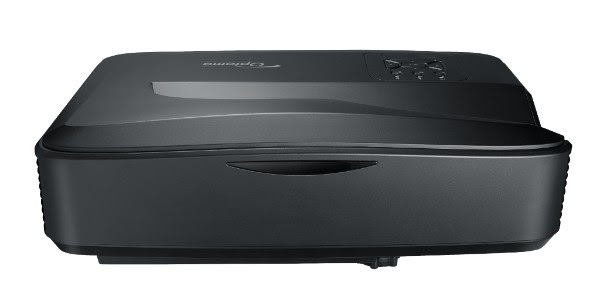 Optoma ZX500TST adopts the DuraCore Laser Technology with IP5X certification engine, delivering incredibly sharp and stunning images with 20,000 hours of virtually maintenance-free operation. It offers XGA resolution with throw ratio of 0.82:1, producing stunning, vibrant images from just a few feet away. The ZX500TST features a 300,000:1 contrast ratio with ExtremeBlack enabled, horizontal and vertical lens shift, 360-degree and 24/7 operation, and portrait mode for maximum usability at any angle. It is the only short throw projector with impressive 5,500 lumens in the high brightness ProAV market, claimed by the Optoma. First announced at CES 2018, Optoma UHD51A integrates with smart voice assistant, including Amazon Alexa Smart Home and Google Assistant, enabling 4K UHD projection to fluidly align with speakers, screen, lighting and more in any smart home setting. With full 8.3 million on-screen pixels, the UHD51A meets the Consumer Technology Association (CTA) requirements for 4K UHD and complies with the CTA High Dynamic Range (HDR) compatible display standards. It not only offers 2,400 lumens and a 500,000:1 contrast ratio but also touts an RGBRGB color wheel and HDR10 with Rec.2020/DCI-P3 Wide Color Gamut compatibility. At 3600 lumens, Optoma EH330 UST, the compact, ultra short throw projector, is 18.8% lighter than the previous version, with less than 4kg of weight, while incorporating a built-in, powerful 16W speaker. 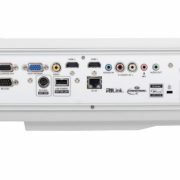 Equipped with the added benefit of vertical and horizontal keystone, as well as four-corner geometric adjustment, Optoma EH330UST allows quick, intuitive, accurate installation, ideal for uneven walls or places where a projector placement is awkward or needs a certain angle. Optoma EH330UST requires little maintenance with maximum 15,000 hours of lamp life, no user serviceable parts inside, nor filter needed periodic replacement. It provides solutions for BYOD (Bring Your Own Device) scenario, including USB display, MHL display, WiFi display (*optional), as well as LAN display, allowing consumers to easily share their device content to the big screen.